Pursuing the internet for cars we can never afford is always a blast. Maybe we’ll get lucky and find some hidden gem for pennies on the dollar—though that is a rare occurrence. Instead, we stumbled upon something like this heavily modified 1981 Pontiac Firebird Trans Am that Road & Track discovered. Where to even begin? The ad lists the Trans Am as a pro-touring or resto-mod creation with over $300,000 into the build by Schwartz Performance. Power comes from a twin-turbocharged LS9 engine making about 1,300 horsepower at the crank and about 1,040 at the rear wheels. The engine pairs with a Bowler 4L85E transmission, Mosler rear end, and a fully adjustable suspension. The seller claims the Trans Am will hit 200-plus miles per hour in a quarter-mile race—this Screaming Chicken shrieks. From the outside, the Pontiac Firebird Trans Am looks like a well-restored specimen. There aren’t any obvious hints at the car’s true performance. The paint is immaculate as is the hood logo. The lowered suspension and menacing exhaust are noticeable, though. Inside, the race-ready nature of the coupe is front and center. 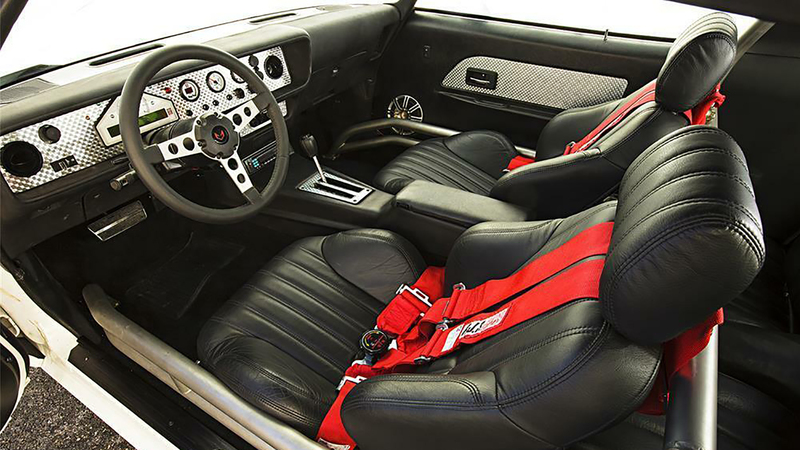 The Pontiac Firebird Trans Am has a new interior with a racket shifter recently installed. It features a low roll bar and a “nice stereo” though we bet the powerful V8 will be all the music you need. The powerful Pontiac also has a pedigree, too. It’s won multiple shows, has been featured in several magazines including Car Craft, and was featured on the Power Nation TV show. This is the real deal, folks. The seller is asking $160,000 for the modified Trans Am. However, the seller will consider trades plus cash. Obviously, the car comes with no warranties expressed or implied, and if you haven’t driven a 1,300 hp drag car before, the seller will be more than happy to do the test drive for you. The buyer is responsible for shipping and inspection costs.